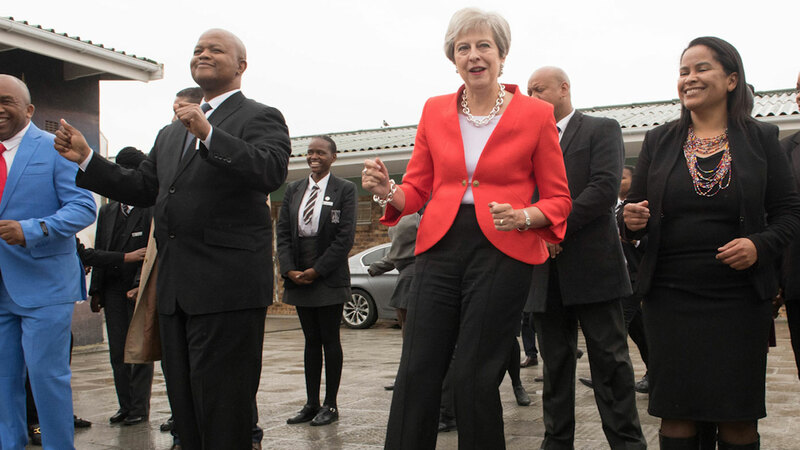 Despite what was reported in The Australian, Theresa May’s odd, freakish behaviour in Kenya was not an embarrassing attempt to endear herself by mimicking the local school children’s dance routines. Nor was it a concerted effort to surpass even Elaine Benes’ dance in its monumental stupidity (as later claimed by the Foreign Minister). It was, in fact, a clear case of Mad-Cow Disease. It was Boris Johnson who first named it for what it was, and my chat later with the Kenyan High Commissioner here in Canberra only served to confirm it. Yes, said His Excellency, Boris is right, there was no question: May was clearly suffering from MCD – and a particularly virulent strain of it at that – and she should be put down as soon as possible. Failure to act immediately, he urged, was likely to result in another catastrophe of gigantic proportions, similar to what we witnessed with the very mad Merkel in Germany in 2015, and during Julia Gillard’s cruel reign of terror about a decade ago. Digressing a little, His Excellency noted that the rampant outbreaks of African Swine Fever in Melbourne’s suburbs were totally unrelated to MCD, but taking similar action, shooting a few of the them anyway, could certainly help. But first, he said (misquoting Shakespeare): kill all their lawyers. He then started to reminisce and ramble on a bit, recalling the good old days of the Mau-Mau uprising in the ‘50s, when they used to boil alive then eat some of the judiciary (as suggested by Queen Victoria a century earlier) to set an example if they didn’t hand out tough enough sentences. Castrating traitorous government officials and playing Twen’y-Twen’y cricket with their balls (also suggested by H.M.) was also very popular. Unfortunately, I replied, such measures would be likely frowned upon by the highly-Commie electorate they seem to have down there in Victoria these days, though entirely welcome elsewhere. Besides, finding anyone in the Vic. government with their original goolies, let alone a Mr Johnson, would be just too difficult. This entry was posted in Mad-Cow Disease, Theresa May and tagged Mad-Cow Disease, Theresa May. Bookmark the permalink.